The applicant – her name is Aga – was looking at a sales position at Co-op 108, a skin and body care company and a founding Member Co-op of the Valley Alliance of Worker Co-operatives (VAWC). Her question is one of our favorites and is one that we've received numerous times since VAWC began bringing worker co-ops in western Massachusetts and southern Vermont together in 2005. Anasuya Weil – worker/member of Co-op 108 and Representative to VAWC - and I took the opportunity to share why VAWC was formed, its goals and our work to date. VAWC Member co-operatives have created a gateway to new opportunities and access to new resources to respond to challenges. VAWC Member Co-ops use the advantages of co-operation that so many use for their own business structure in order to face challenges with shared strength, resources and knowledge. The first response to Aga is that as a member of Co-op 108 she would join a business that has a built-in support system. She has a say on how to address larger challenges without having to shoulder all costs and demands. VAWC is incorporated as a co-op owned and run by its members – in this case worker co-operatives with the goal of building an intergenerational asset that co-operatives can rely on for years to come for development, marketing, interco-operation, legislative engagement and other technical assistance. VAWC strives to answer questions that arise in discussion among co-ops: How can worker co-ops utilize their own expertise, Democratic Member Control and Member Economic Participation to support their own businesses and the growth of the movement? What does co-op support and development need to look like for co-ops to participate and contribute resources? How can co-operative development be guided by Co-op Principles? The adage that there is strength in numbers applies to VAWC’s work. A fraction of revenue and surplus from one co-op could and often does make an impact. Strategically pooling a percentage of surplus and revenue across a system of co-ops affords a part time staff person, marketing and education, a development fund and more. From the beginning VAWC Member Co-ops understood themselves as one part of a world-wide whole of co-operation. Co-ops wanted to be active members of the entire co-op economy, weaving –- to borrow an early co-operative phrase –- ourselves into a movement. We attend and participate in the Eastern Conference for Workplace Democracy, U.S. Federation of Worker Co-ops, the National Co-operative Business Association to build dialog and relationships. Having a regional co-op build a shared voice for worker co-ops has been invaluable in our relationships with other sectors – many whom already have commonalities of industry or service – and with support organizations. Spurred by the United Nations declaring 2012 the Year of Co-operatives VAWC joined Neighboring Food Co-op Association (NFCA), Franklin Community Co-op (FCC, a nearby food co-op with two locations) and UMass Five Credit Union in exploring how co-ops could build on shared advantages across sectors. In 2012 these four co-ops formed the Valley Co-operative Business Association (VCBA), as a cross sector support co-operative – the first regional group to use 'CBA' in their name and incorporate as a co-op. VCBA supports cross sector business opportunities, legislative activity, holds events and organizes shared advertising opportunities. Another thread of collaboration is having Stakeholder Director positions on our Board. These are filled by co-operators in other sectors or support organizations which support our mission. We receive expertise and diversity of perspective and Suzette Snow Cobb of FCC acquired a venue to collaborate and have input. Member Co-ops created internal and external education programming to strengthen Members’ existing education and training as well as raising the profile of co-ops to the general public. In ‘internal,’ programming, every member co-op receives our VAWC Owners Manual, a ‘go-to’ place for important documents where their own co-op history, policies, Articles of Incorporation and Bylaws are assembled. Secondly, readers are guided through how to access shared VAWC resources, represent their co-op and learn about VAWC operations, founding documents, VAWC history, and the wider regional co-operative movement. For ‘external’ work, VAWC Membership supported a book about regional interco-operation where a focus is secondary co-operation on a regional scale and its benefits. 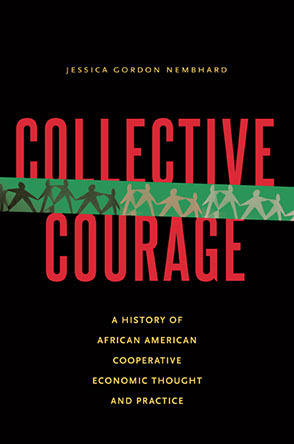 Building Co-operative Power introduces the history and concept of worker co-operation and relays past and present stories of worker co-operatives in the Connecticut River Valley of Massachusetts and Vermont. It offers cautionary tales and sagas of personal transformation of current and former co-operators and ends with a regional vision of a more integrated, vibrant co-op economy. It was printed and published at Collective Copies and Levellers Press. We educate our public about the advantages of co-operation, too, to increase “co-opportunity,” if you will. One example of our effort is the UMass Amherst Co-operative Enterprise Collaborative (UMCEC). UMCEC is made up of VAWC, NFCA- faculty and students, and delivers introductory and advanced classes; invites speakers; engages the system of seven student run co-operatives; and promotes employment opportunities for graduates. Last year 200 students enrolled in our classes. As seen in many parts of the world, perhaps best exemplified in the Emilia Romagna region of Italy, legislation engaging co-operatives’ participation in the development of co-ops has been part of building a co-operative economy of 7,500 co-ops in a geographical area about the size of New England. We’re building dialog with legislators to deploy co-op surplus to enhance co-operative business, co-ordinate the co-operative sector and for co-op led technological advancement as well as the basics: the advantages of the co-operatives in their region. VAWC’s recently developed policy platform brings Members to the discussion with policy recommendations and issue statements. VAWC's success hinges on the ability to work together, to transcend differences of a co-op's age, industry or size and co-direct shared resource mechanisms. VAWC accomplished some of its goals demonstrating that co-ops running their own support and development is productive and delivers value on the needs and goals of our Member Co-ops. VAWC combines the experience and relationships among co-operatives – a strong peer network serving as the backbone of our organization – with technical assistance in education, governance and structure as well as founding documents like Articles of Incorporation, bylaws, policy handbooks and more. Using this combination we've supported six businesses converting to worker co-operatives since 2009. We seek to build co-operatives with a strong co-op identity, a clear long term strategy to serve as guides with a network of co-operation to support them during the seemingly endless challenges which co-operative business ownership provides. Having a regional co-op build a shared voice for worker co-ops has been invaluable in our relationships with other sectors – many of whom already have commonalities of industry or service – and support organizations. To learn more about VAWC, Co-op 108 or any of our other Member Worker Co-ops feel free to contact us: info@valleyworker.coop, www.valleyworker.coop, 413. 268.5800, @VAWC7Ps, and on facebook.